We work with some of Australia’s largest and most reputable alarm monitoring companies. M S E Security can supply uniformed or covert security officers for your business after hours, on-call or ad-hoc. We will provide your business with our secured banking satchels which you will place your takings inside a fast/express deposit bag / change orders securely inside. M S E Security has a team of trusted security contractors which we use for Alarm/CCTV installation & maintenance. There are many benefits of engaging in a security company be it reductions in insurance premiums or just the peace of mind that your assets are secure and safe while you are not there, whether it be alarm monitoring, mobile security guard patrols or a combination of both, security guards offer an excellent deterrent against crime. And for business clients our fees are also tax deductible! These are a great deterrent for any home or business. Uniformed security staff will attend in a marked security vehicle and perform checks of your property from the outside, inside or both. Our mobile patrol teams are able to quickly detect intruders, insecure doors and other general security/WH&S issues on site. Security Patrols are also a great deterrent for vandalism/theft, graffiti and damages and a cheaper way of securing your property & benefiting from reduced insurance premiums. We are also able to perform staff escorts, locks/unlocks, temperature checks, welfare checks & any other after hour building services. Security Patrols are our specialty! Click HERE to get a quote. MSE Security Services protect you with alarm monitoring services. We work with some of Australia’s largest and most reputable alarm monitoring companies. Taking pride in our rapid alarm response services for security Redlands, security Capalaba, security Wynnum and security Logan, MSE Security provides security services to national standards so you can enjoy the peace of mind at all times. 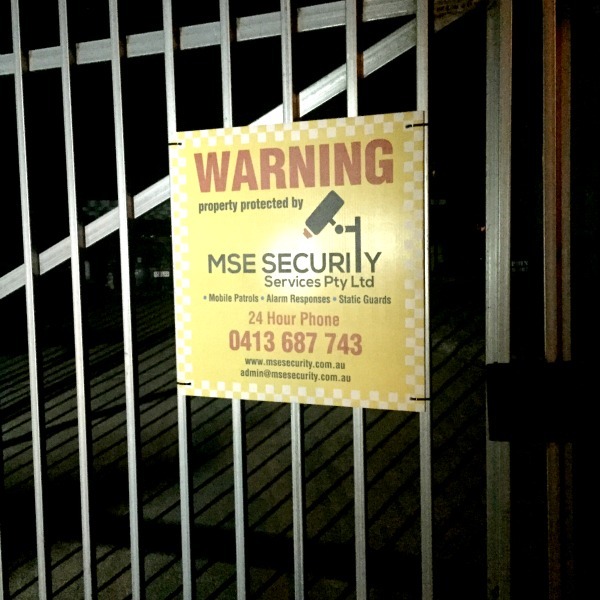 MSE Security is YOUR answer to security services in Brisbane. Click HERE to request a quote. M S E Security can supply uniformed or covert security officers for your business after hours, on-call or ad-hoc. We are able to arrange security staff on short notice and able to supply for situations such as – break and enter, loss of power / alarm communication, loss prevention, lock outs/staff dismissal, party security / crowd control, gate house – We also provide K9 Dog Security! Need trusted security staff ? Then request a proposal HERE. 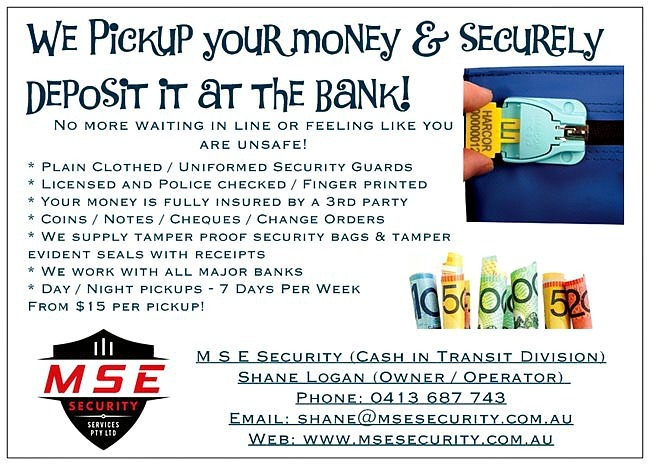 If your business deals in cash / cheques we can also provide a safe and secure way of moving money between your business and the bank – We will provide your business with our secured banking satchels which you will place your takings inside a fast/express deposit bag / change orders securely inside. The bag is then sealed with an individual tamper proof seal and paperwork is filled out. The money will then be taken to the bank where the teller will check the bag for any evidence of tampering, break the seal and take possession of the takings. If required a change order can be completed and the teller will re-seal the bag and you can check upon arrival the bag is secure. Take the risk away and let M S E Security do your banking! 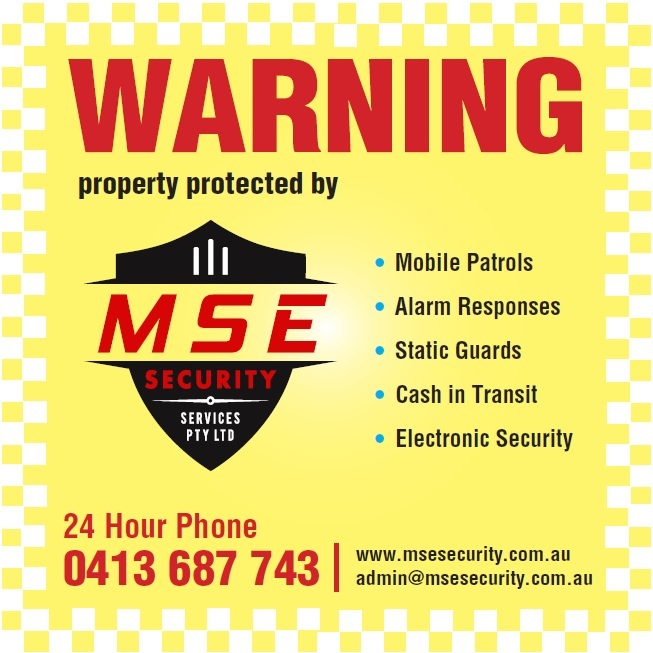 To hire security patrols in Brisbane contact MSE Security Services today! Need mobile patrol, alarm response and cash in transit security? Then click HERE to request a quote. M S E Security has a team of trusted security contractors which we use for Alarm/CCTV installation & maintenance for our clientele. Looking for some advice, a repair or some new security technology ? We can get you in contact with the best today.